I asked you in one of my previous giveaways what kind of giveaways you would like to see, and some of you said "cooking books". So, the time has come! 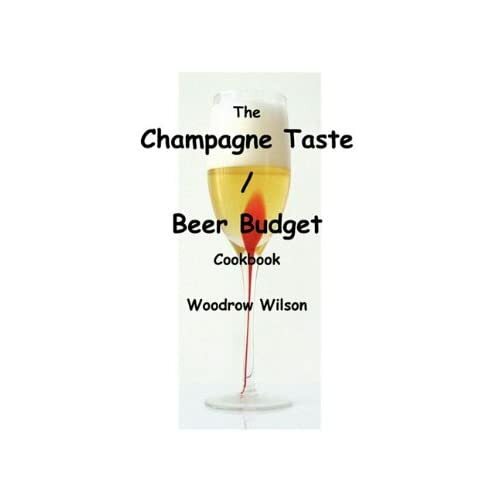 Today, I'd like to review The Champagne Taste/Beer Budget Cookbook by Woodrow Wilson. Dimensions: 11.00x8.25x.22 in. .58 lbs. You don't have to go to the expensive restaurants to feast. The book brings you very elegant restaurant quality food at a very low cost. Thanks to this enjoyable book, you can cook the "high-society" meals with a really reasonable budget. You can choose among various ingredients and dishes like beef, pork, poultry, seafood, pasta, soups, potatoes, corn, vegetables, etc. There are also secret ingredients and brunch dishes sections in the book. What I noticed that at the beginning of every section, there is a good and informative background data about the related food. While reading, I saw that the author explained the cooking way of the food in different methods such as gas barbecue, charcoal barbecue, broiler, grill, etc. There are also quick helpful tips about the cooking. By the way, the author doesn't forget to make you smile or even laugh! For example, when explaining the preparation of the beer-can chicken, he says "open the beer, drink half". There are such enjoyable sentences scattered inside the book. - "You can always put it back and cook it more, but you can never put it back and uncook it." - "Why do people constantly return to the refrigerator with hopes that something new to eat will have materialized?" Woodrow Wilson is a Caltech PhD chemist who learned to cook in self-defense. He could live the life of a starving student as long as he didn’t have to taste it. Spoiled by years of his mother’s home cooking he’d have to do better. Besides, his roommates wouldn’t tolerate mediocre cooking. Dinner might not cost much, but it had better not taste like it didn’t. Wilson brings his creativity out of the laboratory and into the kitchen. Toying with recipes—adjusting ingredients to improve taste or substituting ingredients for whatever he’s out of—he presents new takes on old favorites. Cooking by the seat of his pants, and then reverse engineering the ones that turn out well, he produces some great new taste sensations. 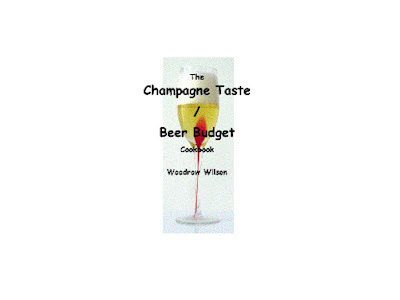 His best results are presented in his new book The Champagne Taste/Beer Budget Cookbook. This is a collection of recipes simple enough they are a joy to cook, but delicious enough they are a joy to eat. Wilson is a research scientist, an author, a Toastmaster, a husband, a father, and a grandfather. Visit his web site http://www.woodrow-wilson.com to learn more about him. As a special bonus, you’ll discover new recipes there every month or so. Please visit http://www.youtube.com/watch?v=3LTAW-Ifbek for a preview of the cookbook. BUY IT: You can buy this book for $12.95 at BookLocker, Amazon and Barnes&Noble. Also for $14.25 at Books a Million, and for $16.75 at Powell's Books. The e-book version is $8.95 at BookLocker. Visit Woodrow Wilson and tell me what you learned there. (Please leave your e-mail address, so I can contact you if you are the winner). If you also follow my blog, I'd appreciate it. 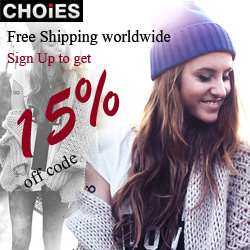 The contest will end on December 10, 2010 at midnight (Turkish time / EET). Open WORLDWIDE. Winner will be chosen by random.org and notified via e-mail. The winner must respond within 48 hours or another one will be chosen. * I received the abovementioned free item (e-book) for an honest review. I'm not responsible for the shipping of the prize. I'm not affiliated with this company. I learned that it is a good cookbook for people with restaurant taste but are on a budget. I learned that For the cost of burgers out, you can dine on filet mignon at home. He has a PhD from caltech. I learned that this cookbook can help me to 'have restaurant quality meals without the quality restaurant prices'. The author is a Rocket Scientist! I so enjoy cookbooks and this intrigues me. Having food taste wonderful with spending an arm and a leg sounds good. Thanks for the wonderful giveaway. Smoked Turkey is this month's recipe!